DAY 191: My goal of the day was to make it to the southern Tanzanian city of Mbeya, 120 km. north of the Malawian/Tanzanian border. I questioned whether or not I would make it before the sun went down so that I wouldn’t arrive in the uncertainties of darkness. Anel, who had made her way down from the north, said I’d make it to Tanzania’s border by nightfall, but not Mbeya. Frank said I’d make it by 7:30 at night, but not to worry because a nice hotel was just across the street from the Mbeya bus terminal and that I wouldn’t have to stray too far at night to find it. I supposed that was the worst case scenario, but I still tried to make the effort to get there before the sun beat me to it. DAY 192: Before the sun was awake, I was awaken around five in the morning by the chants and Muslim prayers coming from two different sets of loudspeakers from what I gathered were in two points of town, one somewhat far away (but still audible) and one right across the street because it was blaring through my window and into my hotel room. Of course I found myself stranded in another NMCZ (No MasterCard Zone) and on another bank holiday too; the first of May is Labour Day in most countries around the world. DAY 196: Mount Kilimanjaro, known locally as “Mt. Kili” or just “Kili,” contains the African continent’s highest peak at 19,338 ft. (5896 m.) ASL. Some guy at the Tanzanian National Parks Department with a penchant for superlatives also boasts it is the “world’s highest free standing mountain” since it isn’t a part of any major mountain range. DAY 197: In 2001, Blogreader oogy and I hiked the Inca Trail in Peru to the archaeological site of Machu Picchu, high up in the Andes Mountain Range. This four-day trail took us to altitudes of just over 13,000 ft. (4000 m.) ASL, but we already started feeling the nausea and head pains of altitude sickness around 12,500 ft. (3750 m.) ASL. On Day Three of my Kilimanjaro trek up the Marangu Route, I would ascend into the thin airs of 15,520 ft. (4750 m.) ASL, the highest I had ever been to that date. DAY 199: On Day 193: Tomorrow in Tanzania, it was up in the air where I would go after Dar-es-Salaam. I had boiled down my plethora of options to just two: 1) go to the touristic town of Arusha and organize a trek and safari combo with a Mr. Jalala of Kilimanjaro Crown Tours (recommended by fellow travelers Frank, Francesca and Yvonne in Nkhata Bay, Malawi); or 2) go to the smaller town of Moshi to meet American expatriate Tony (referred to by Cristina in Lusaka, Zambia) and organize a trek/safari with Tin Tin Tours (recommended to me not by a fellow traveler, but a Tanzanian rasta named Goba). In the end, it boiled down to a simple toss-up and rather than just flip a coin, I played the laws of probability in a more mystical way. Like randomly picking one of two stones out of my pocket as done in the book The Alchemist by Paulo Coelho, I blindly picked one of two coins — a Malawian and a Tanzanian — the former representing Moshi, the latter for Arusha. Malawi came up and my path from there was decided. But little did I know at the time that the path of one would lead me right back to the path of the other one. DAY 204: Lake Victoria, Africa’s biggest (and the world’s second largest) lake, encompasses over 42,000 square miles (68,800 sq. km.) 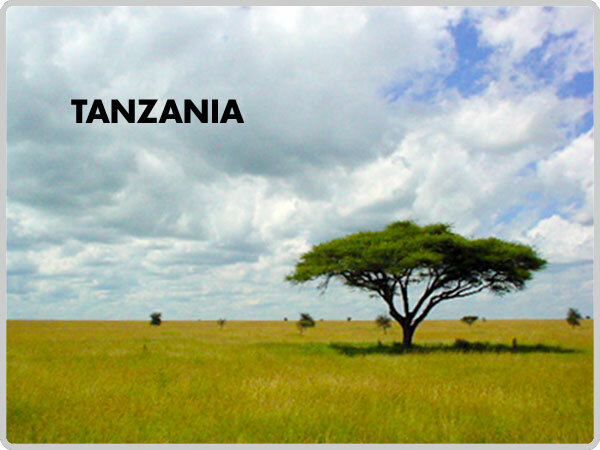 within the boundaries of Tanzania, Kenya and Uganda. With the force of gravity, its millions of gallons of freshwater flow northward all the way to the Mediterranean Sea on a mighty river called the Nile. DAY 205: “Wow, I haven’t seen one of these in a while,” I said to Tony in the kitchen as he made his morning coffee before going to work. I went to get some milk. After being on a non-stop tour for ten days in a row in the wilds of Africa, climbing mountains and going on safari, it was nice to come back to the conveniences of modern life. DAY 206: In the morning I had no plans to do much in and around Tony and Ted’s apartment while they were away at work (Ted was feeling better, so he went in too) other than continue to catch up on Blog duties. Little did I know then that the day would be an “ultimate” day. DAY 207: “How was your safari?” Jimmy, my Kilimanjaro guide asked when I ran into him on the road when walking around Moshi town to run errands. “Oh…” I groaned with a smile. “It was… memorable.” I told him about the whole fiasco, how the first two days were great and then the next three turned into a safari from hell. I told him how unprofessional it was conducted, from the faulty vehicle to the somewhat shady guide. Although Jimmy wasn’t directly involved with the safari, he apologized on behalf of Tin Tin Tours, the Moshi-based company that had sent me to the Arusha-based Kilimanjaro Crown Tours when they didn’t have enough clients to warrant a cost-effective safari group themselves. DAY 208: I suppose a lot more good things came out of the mugging at knifepoint in Cape Town than bad ones. Ever since the incident, my itinerary had been sent on a tangeant that led me to connections I might not have made if nothing happened. The mugging led to flight cancellations, which led to going overland through Zambia, which led to Shelle, which led to Cristina, which led to Tony, which led to one connection no one could have predicted in Zanzibar. DAY 209: The touts of Stone Town usually hang around the main ferry port area where tourists come and go on the two-hour ferry ride to and from mainland Dar-es-Salaam. Most of these touts, which Willie refers to as “Street Boys,” are good-for-nothing drug addicts usually strung out on crack cocaine, desperately using a facade of charm or friendliness to score any cash from unsuspecting tourists with bogus tours. A suspecting tourist can usually tell a Street Boy a block away; they often just look all drugged out, or they reek of booze, and they look all disheveled like they just got out of bed. Street Boys make Stone Town look more like “Stoned Town,” and I’m sure any suspecting reader might have seen that pun a mile away. DAY 210: A German ex-pat named Thomas living and doing PhD. research in the other main Zanzibar island of Pemba was sitting in the back seat of a minivan. With him was only his visiting friend Volker from their hometown of Heidelburg, until I arrived. The three of us had signed up for the Dolphin Tour from different tour agencies, but it being the low season, we had been pooled together for efficiency. Our driver and guide drove us to the south east of Unguja Island for the beginning of a day full of Dolphins, Monkeys and Queen. DAY 211: What would the world be like without spices? For one, Colonel Sanders and his Kentucky Fried Chicken would have eleven less ingredients to put in his secret recipe and probably be out of business. TV chef Emeril Lagasse probably wouldn’t have a career involving yelling the word “BAM!” and would probably be a janitor somewhere. And you could forget about going out for Thai food entirely. (God forbid!) In short, a world without spices would be a pretty boring and bland world. DAY 212: When Kazim took us to the beach as part of the Spice Tour the day before, there were two British guys that refused to go in the water. Their reason: they had spent some days up at the beaches in the north and after that considered anything else inferior. I, along with Jess, the American girl I also met on the Spice Tour, was soon to find out what all this hype about the north was all about. DAY 213: The Mnemba Atoll, the coral reef and island pair off the northeast coast of Zanzibar’s Unguja Island, is arguably one of the world’s premiere scuba diving destinations, sporting an impressive display of tropical marine life. Most people have come to the atoll with scuba gear to see just what beauty lies beneath, although some privileged people — i.e. “missing” Enron corporate criminal Kenneth Lay — have been rumored to hide out at Mnemba Island, the privatized part of the Mnemba Atoll which costs $1200 per night (in embezzled money from government funds of course). DAY 214: The north coast of Unguja Island, Zanzibar is the kind of place you go and sort of realize, “Hey, I think I might just live here and do nothing.” While that idea was promising, it was detrimental to my plan of writing a blog around the world. Realizing that I couldn’t stay forever in Kendwa, I figured the dread of leaving it all was as inevitable as being Kendwa’d, and that I might as well rip off Kendwa from my soul like a band-aid on a wound.